Mediation « The Law Office of Linda A. Bailey, P.A. Mediation has proven to be a very effective way to resolve family law cases without the need for expensive litigation. Mediation is a form of “alternative dispute resolution,” a way in which disputing parties can work to resolve their disagreements without going to court. Mediation can be held prior to or after the suit is filed. Once an initial petition has been filed, if the parties cannot otherwise settle the case without mediation, the court will require mediation prior to a final trial. Mediation has become more popular and widespread because of its benefits to the courts and to parties. Mediation can mean that disputes are resolved using far less time and money and without overburdening court resources. However, time and cost savings are only part of the benefits of mediation. 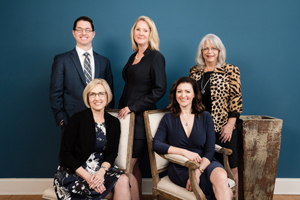 The attorneys at The Office of Linda A. Bailey work passionately toward solutions that help clients reach resolutions in the most professional manner possible. Family law disputes and divorce cases are particularly well-suited to mediation not only because of the very private nature of these disputes, but also because of the extreme emotional strain caused by prolonged litigation in these cases. Mediation allows the parties to maintain control over the specifics relevant to that family and to devise solutions particular to each family’s unique circumstances. Private mediation provides an option to divorcing families to have their issues mediated and resolved as quickly and as privately as possible, with the least amount of disruption and the highest amount of individuality. The entire process is confidential, allowing the parties the freedom to explore all possible avenues of settlement, without these offers being used against them if mediation proves unsuccessful. Furthermore, sensitive and often complex financial issues can be openly discussed and resolved within the privacy of a confidential mediation without media or other unwanted attention, particularly in high profile dissolutions. Dedicated to strength in legal representation, and to giving you peace of mind. Linda A. Bailey is a Florida Bar board certified marital and family law expert, one of only 280 Florida lawyers who have earned this designation. Board certified attorneys are the only Florida lawyers allowed to identify themselves as specialists or experts. She has experience in criminal defense litigation and has practiced marital and family law for over 30 years. Hunter J. Hendrix began working as a law clerk in The Law Office of Linda A. Bailey, P.A., while in law school at Florida State University. Mr. Hendrix joined the firm as an associate in 2013. He is focused on meeting the needs of his clients in the area of marital and family law. Rachel Hill Borntreger joined the Law Office of Linda A. Bailey, P.A., in early 2018, with extensive prior marital and family law experience. 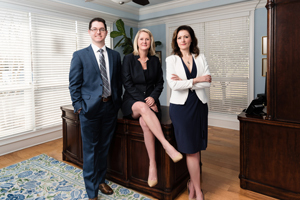 Ms. Borntreger serves as the senior associate of our firm, and is also a Supreme Court Certified Family Law Mediator and a certified Parenting Coordinator. The Law Office of Linda A. Bailey, P.A. The hiring of an attorney is an important decision that should not be based solely upon advertisements. Before you hire an attorney, you should request information about the attorney's qualifications and experiences. Copyright ©2013 - 2019, Linda A. Bailey, P.A. Attorney at Law. All Rights Reserved.